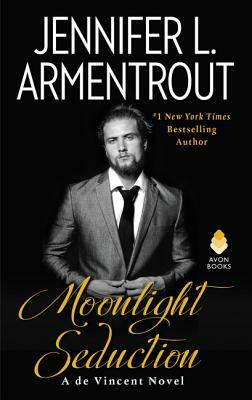 The de Vincent brothers are back -- and so is the intrigue that surrounds them -- in New York Times bestselling author Jennifer L. Armentrout's sizzling new novel . . .
Nicolette Bresson never thought she'd return to the de Vincents' bayou compound. It's where her parents work, where Nikki grew up . . . and where she got her heart broken by Gabriel de Vincent himself. Yet here she is, filling in for her sick mother. Avoiding Gabe should be easy, especially when so much of Nikki's time is spent trying not to be stabbed in the back by the malicious hangers-on who frequent the mansion. But escaping memories of Gabe, much less his smoking-hot presence, is harder than expected -- especially since he seems determined to be in Nikki's space as much as possible. Gabriel spent years beating himself up over his last encounter with Nikki. He'd wanted her then, but for reasons that were bad for both of them. Things have now changed. Gabe sees more than a girl he's known forever; he sees a smart, talented, and heartbreakingly beautiful woman . . . one who's being stalked from the shadows. Now, Gabe will do anything to keep Nikki safe -- and to stop the de Vincent curse from striking again.